Esso Fuels has announced a far-reaching revamp of its product range in the months to come, with an official rebrand of some of its most popular fuels to Synergy. Underway from September 7th, the company is keen to introduce a range of new design elements to its forecourts that will communicate the cutting-edge nature of the Synergy brand, as well as delivering greater consistency to the firm’s portfolio of products. A shift in branding is an exhilerating development for all those associated with the company and for its customers, as the new Synergy branding will bring a fresh and upbeat look to the firm’s entire network. All of the company’s forecourts and pumps are being upgraded as part of this ambition project, making this an exciting time for Esso customers across the globe. Forecourts across the UK are now in the process of being updated with the new Synergy logo and branding, with the brand’s new tagline “Energy lives here” a prominent feature of the new design. 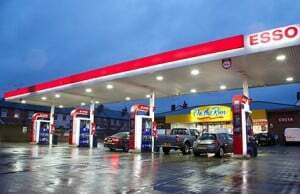 Esso branded service stations across the UK are now becoming the first in the world to undergo this overhaul, with more than 300 sites already updated and plans in place to have completed works at more than half of all Esso franchises by the end of the year. Fuel Card Services is delighted to offer two different Esso Fuel Cards designed to meet your individual business needs. Our Esso Commercial Fuel Card provides competitively priced diesel access at all 900+ Esso service stations across the UK and is ideal for Car/LCV fleets. The Esso Fleet Fuel Card is available at pump price with access to over 2000 Esso service stations, including Shell.